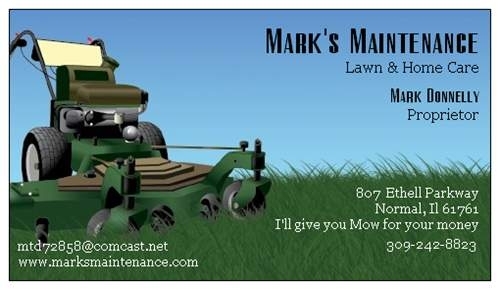 My company is a reliable lawn and home care service. With 10 years of experience in residential lawn & home care we can help make your lawn and home look great! We work with you to meet your requirements and I will do my best to meet your time frame. I'm not satisfied until your satisfied. Need an estimate! Just complete the information on the Request Estimate page.